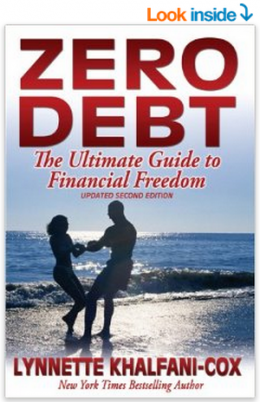 Editor’s note: Zero Debt is now available in a completely updated 3rd edition. Would you like to be free from financial worries, rest at night knowing your bills are paid, and have peace of mind when it comes to money matters? Then you need Zero Debt – a 30-day action plan to fix your finances. 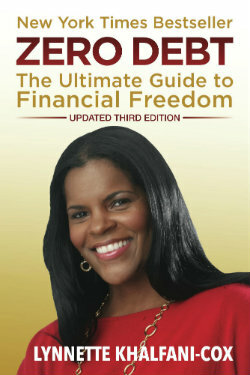 Lynnette Khalfani-Cox, The Money Coach, is a personal finance expert, television and radio personality, and the author of numerous books, including the New York Times bestseller Zero Debt: The Ultimate Guide to Financial Freedom. Lynnette has appeared on such national TV programs as The Oprah Winfrey Show, Dr. Phil, The Tyra Banks Show and Good Morning America. She has also been featured in top newspapers including the New York Times, Wall Street Journal, Washington Post, and USA Today, as well as magazines ranging from Essence and Redbook to Black Enterprise and Smart Money.